There are few things that help one’s efficiency more than being good with his preferred shell. Many know of the ! 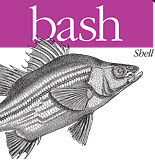 option within bash that allows one to retrieve and run commands from history automatically. What’s even cooler, though, and far fewer people know about, is the ability to search through your history rather than having to guess with the ! option.